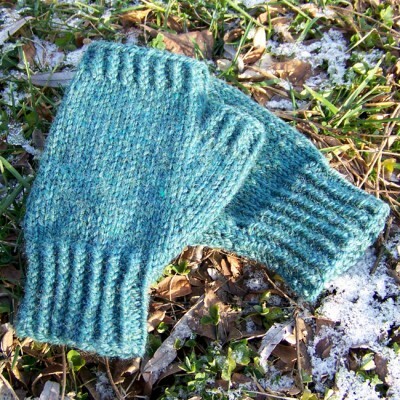 Pine Woods fingerless gloves are sturdy, practical and easy to knit. A shaped thumb gusset means that these gloves are made to fit the hand naturally and comfortably, while the twisted rib cuffs keep you cozy and the gloves securely in place. One size. 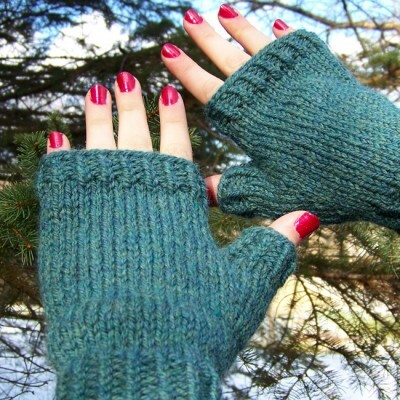 Finished fingerless gloves fit a women’s size Medium/Large 7” – 7.5” (17.8 cm – 19.1 cm) palm circumference. The pattern includes complete written instructions. Pattern is NOT charted. Using larger-sized needles, 18 stitches/24 rounds to 4” x 4” (10 cm x 10 cm) in stockinette stitch, blocked. 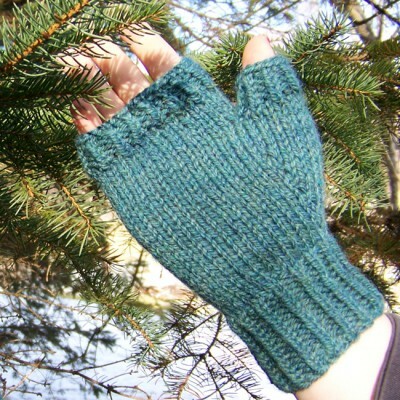 Pine Woods gloves are worked in the round from the wrist up. 75 – 85 yards (69 – 78 m) of worsted weight yarn. A worsted weight yarn that wears well is recommended. 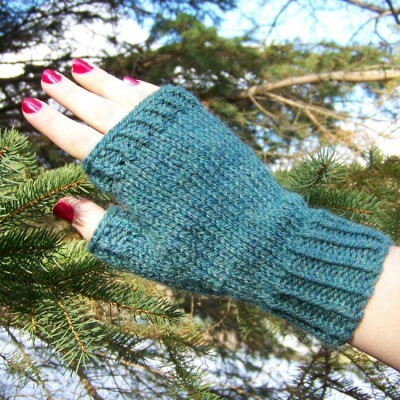 With their simple styling, Pine Woods gloves are a wonderful “blank canvas” for tonal and variegated yarns.